Featured image taken from http://fuggleswarlock.com/. Brewer Description: (from website) A refreshing Belgian Wit brewed with fresh strawberries and sweetened with lactose. Delicately sweet and slightly tart. 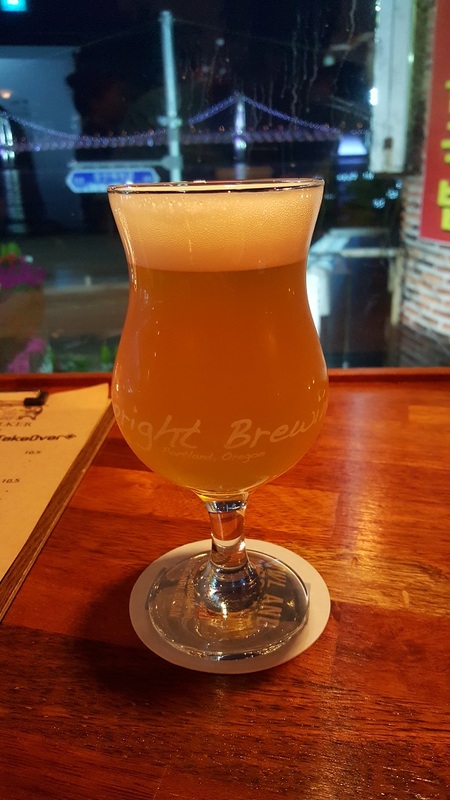 Intro: On tap at Owl and Pussycat Taproom and Kitchen (Busan) into an Upright Brewing tulip glass. Appearance: It was a hazy straw yellow colour with a one finger white head with decent retention and leaves good lacing. Aroma: Strawberry, strawberry yoghurt and some bready malt. Taste: Strawberry, lactose, yoghurt and light tart sourness. Finish was a bit abrupt. Overall: Light, crisp and refreshing. Great for hot summers.